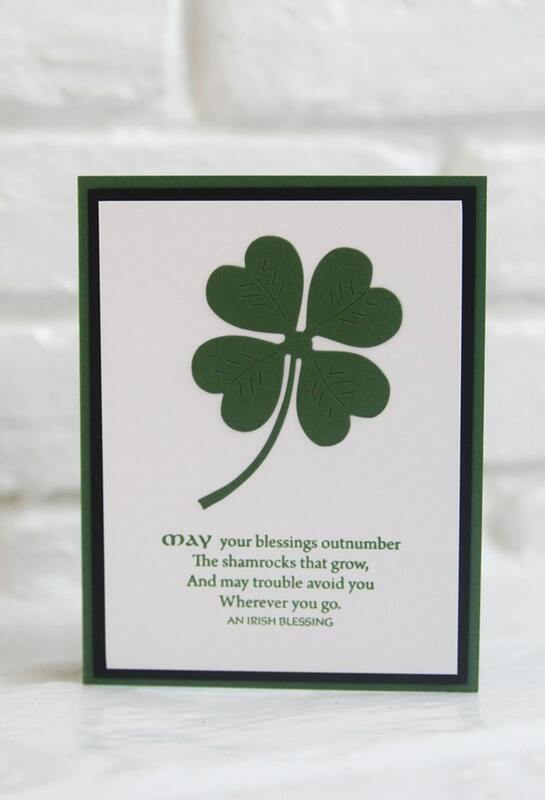 Spread some Irish cheer with this hand made shamrock and Irish blessing card. Whether it is for St. Patrick's Day or just for someone who needs a little pick me up or well wishes, this card will be perfect to express your thoughts. 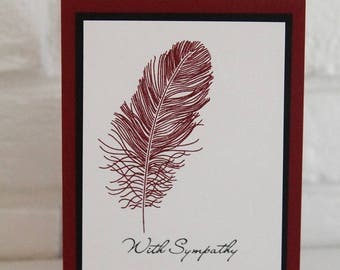 This card is perfect for couples, men or women. The shamrock image is die cut from high quality card stock and adhered to a layer of white card stock. The sentiment is hand stamped with green ink onto the same layer of white card stock. This is layered onto black before adding to a matching green base. The inside of the card has been left blank for you to add your own special words.